The USC Thornton Chamber Singers, representing seven countries, prepare to board their flight to Estonia. 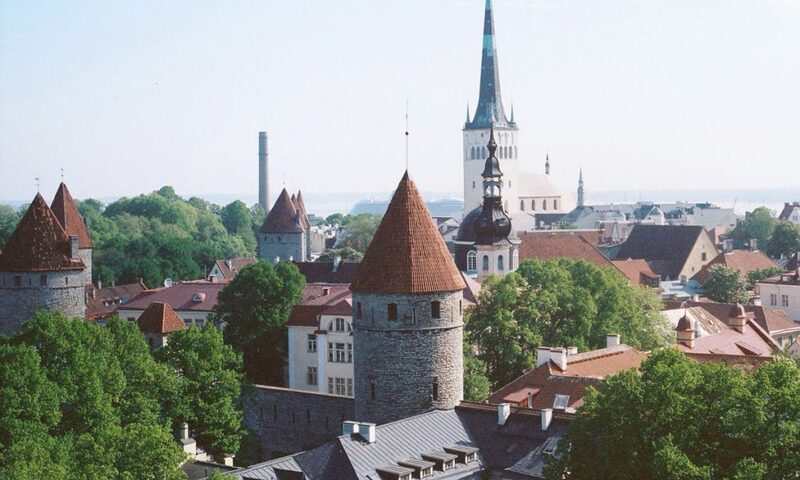 The spectacular medieval skyline of Tallinn, Estonia. 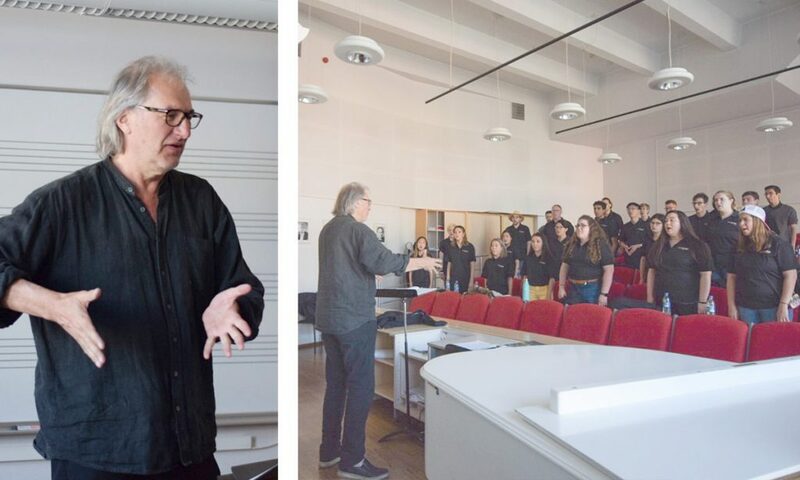 The Chamber Singers undertook a workshop with Tõnu Kaljuste, director of the Estonian Philharmonic Chamber Choir. 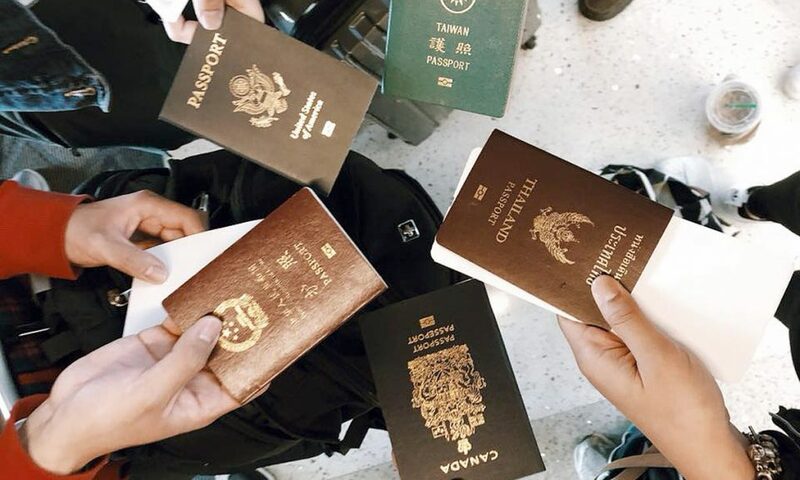 Allison Cheng, Supitcha Kansirisin, Irene Apanovitch-Leites, Isabella Custino, Clara Valenzuela, Vivian Imani, Maura Tuffy and Kayla Behforouz. 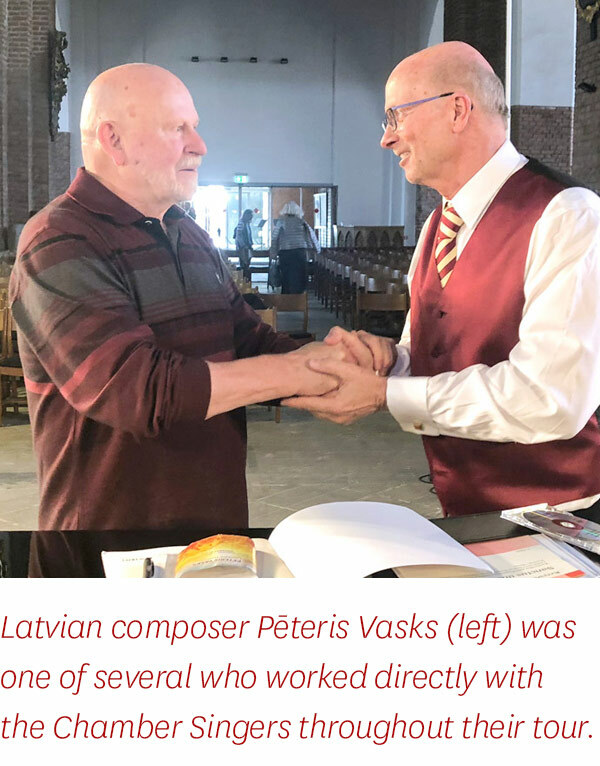 Latvian composer Pēteris Vasks (left) worked with the Chamber Singers prior to their performance in Riga. The Chamber Singers at breakfast. So-Mang Jeagal (right) served as pianist for the tour. The old city of Vilnius, Lithuania. The Chamber Singers with Lithuanian composer Vytautas Miškinis (far right), who conducted the ensemble in his own piece at the Church of St. Johns in Vilnius. 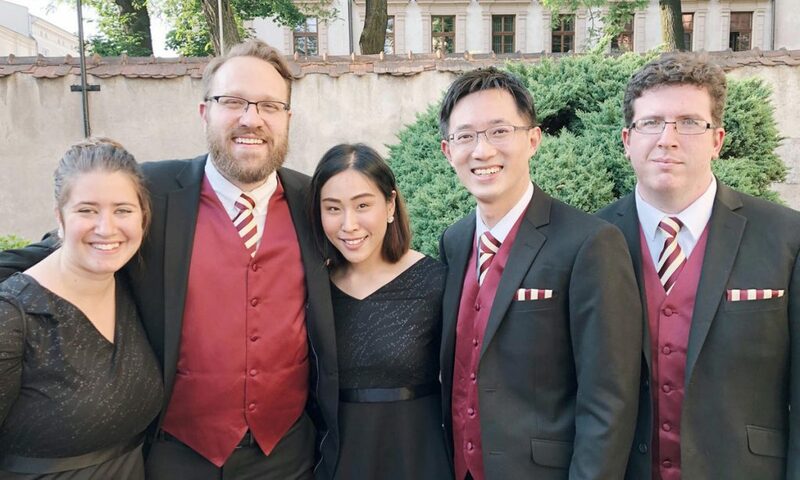 Allison Cheng, Victoria Bailey, Andrew Schultz, Supitcha Kansirisin, Yen-Hsiang Nieh, and Max Vowel II in Kraków, Poland. The Chamber Singers outside of their concert at Saint Peters and Paul Church in Kraków. 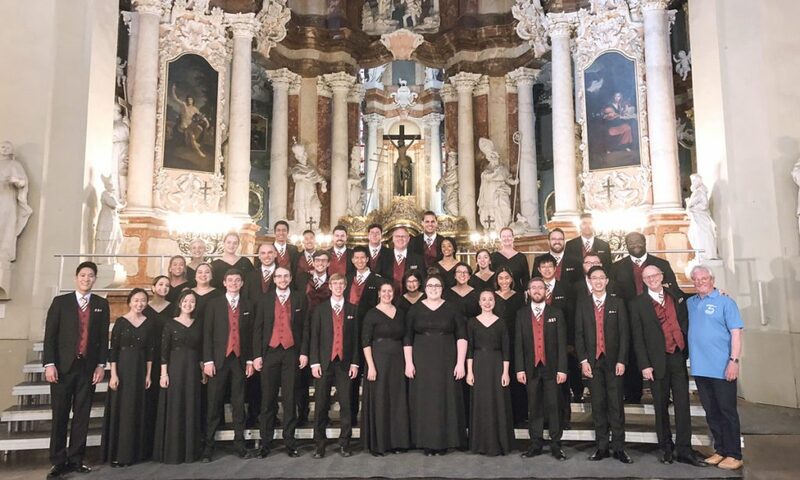 From Europe to Southeast Asia and beyond, many of the world’s cultures have developed thriving choral traditions. 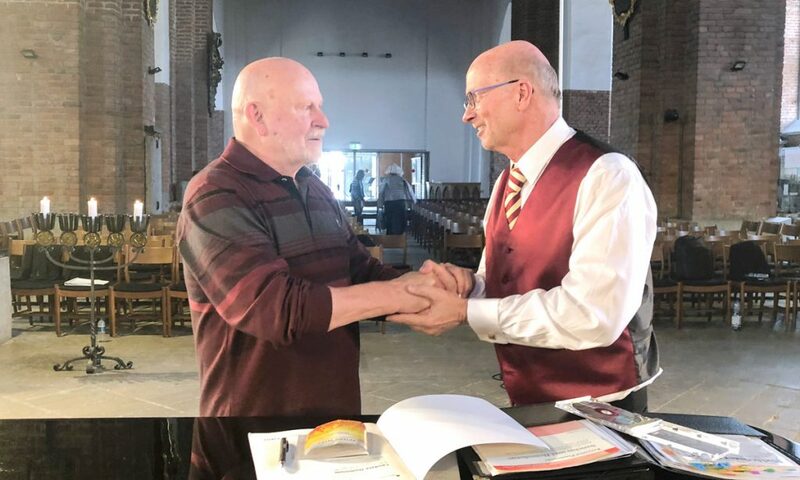 But it’s in the Baltic countries of Northern Europe where the treasured art of group-singing remains more popular, per capita, than any place else in the world. 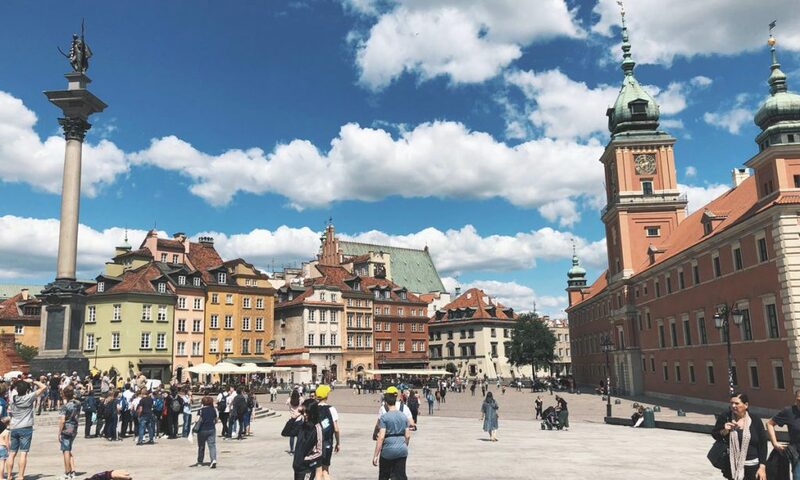 In celebration of this extraordinary tradition and the 100th birthday of Estonia, Lithuania, and Poland, the USC Thornton Chamber Singers toured six of the region’s historical cities in May of 2018. And with so much great music to choose from, Choral & Sacred Music chair Jo-Michael Scheibe took an insightful approach to the trip’s programming. 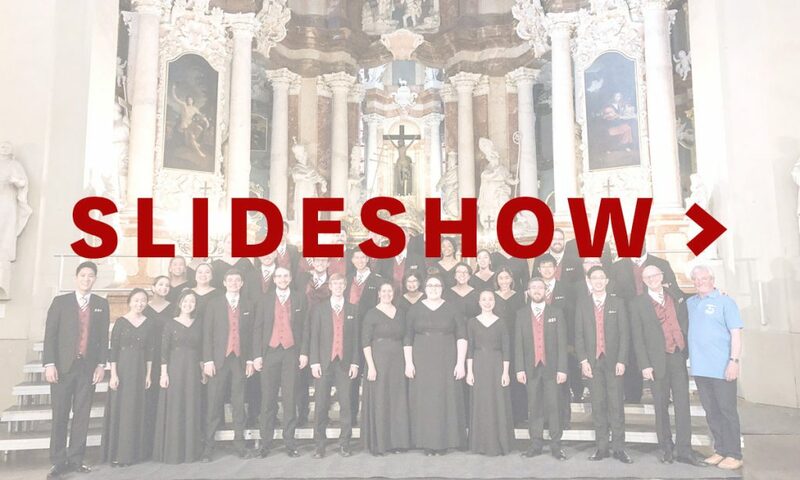 Performing in Tallinn, Riga, Vilnius, Kobyłka, Warsaw, and Kraków, the Chamber Singers showcased works by Estonian composers Urmas Sisask, Veljo Tormis, and Pärt Uusberg; Pēteris Vasks of Latvia; Vytautas Miškinis of Lithuania; and Polish composers Marian Borkowski, Paweł Łukaszewski, Roxanna Panufnik, Kryzysztof Penderecki, Marek Racyzński, and Frédéric Chopin. 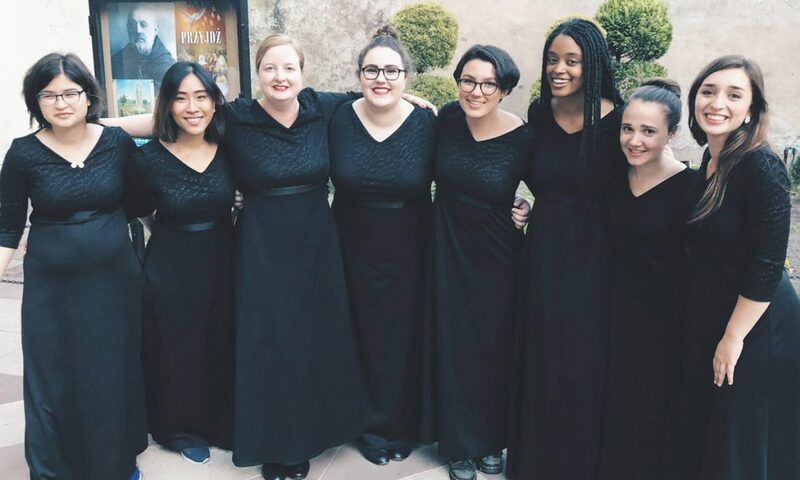 They featured pieces by American composers, including Craig Hella Johnson, alumni Matthew Brown (MM ’04, DMA ’08) and Christina Whitten Thomas (MM ’05), and Distinguished Professor of Composition Morten Lauridsen, among others. 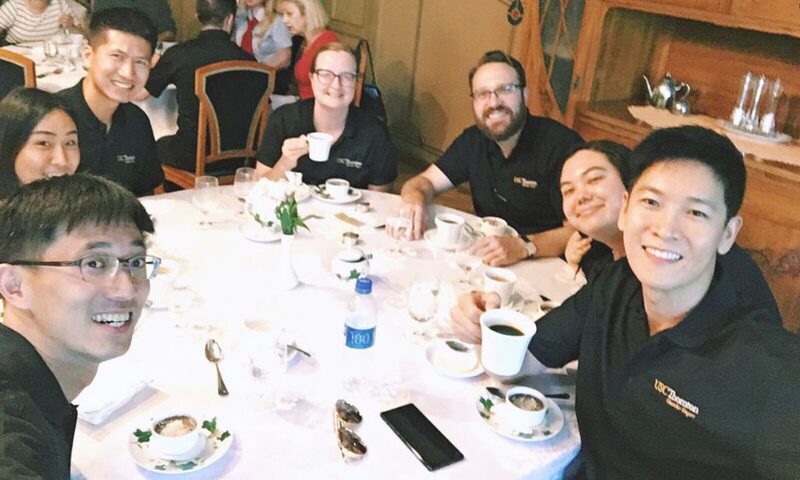 The ensemble worked closely with the USC Polish Music Center to make creative connections on the ground, including an engaging workshop with Tõnu Kaljuste, director of the Estonian Philharmonic Chamber Choir. 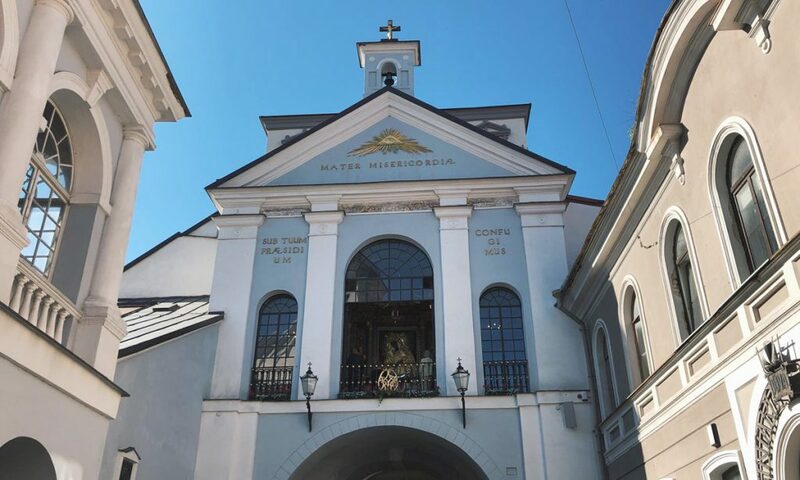 Composers Pärt Uusberg and Pēteris Vasks were on hand to work with the Chamber Singers, and Vytautas Miškinis even conducted the ensemble in his own piece at the Gothic Church of St. Johns in Vilnius. 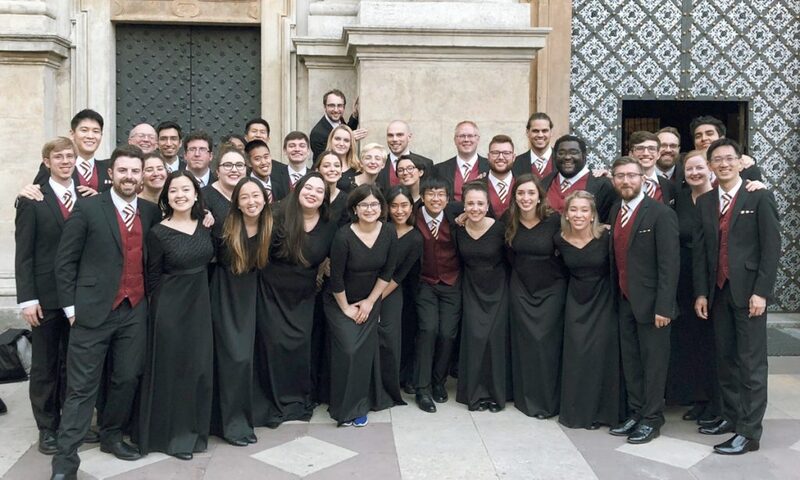 In between performances, the two-week tour brought the Chamber Singers to spectacular fifteenth-century castles, medieval cathedrals, and even the Wieliczka salt mine and chapel in Poland, where they gave an impromptu performance of Marek Racyzński’s Gaudeamus Omnes (enjoy a cellphone video of the performance below). 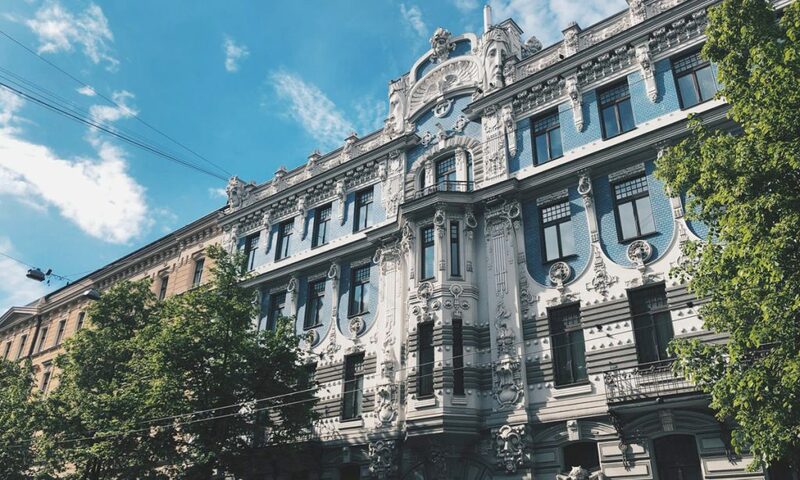 The Chamber Singers also called upon more somber landmarks in a region where history casts a long and sometimes chilly shadow, from World War Two to the Soviet era. Following their visit to the Auschwitz concentration camp, the ensemble was moved to perform an excerpt from Craig Hella Johnson’s Considering Matthew Shepard, a deeply-reflective work that embraces compassion in the face of hatred.